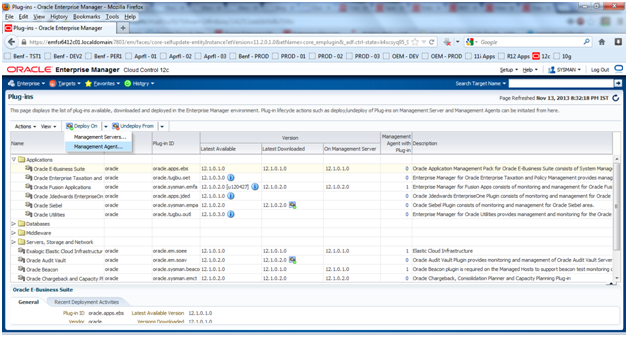 In this article, we are going to see the implementation plan for AMP ( application management pack) and change management in oem 12c. This article gives you an idea of complete plan to implement with screen shots and references and don't eloborate detailed patching and session log. 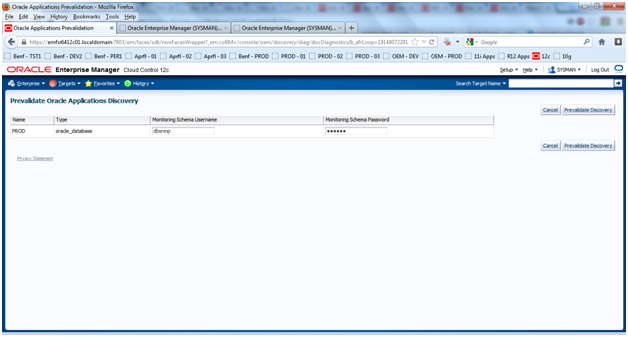 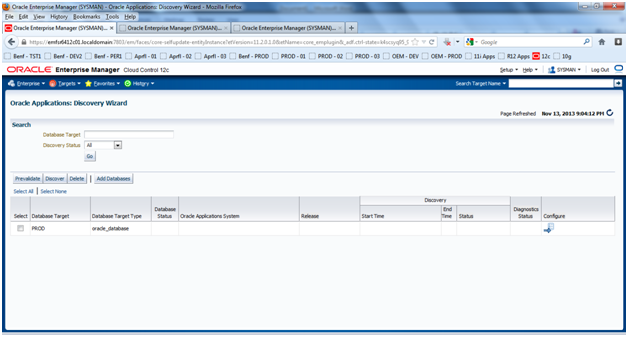 DBAs already working in oem 12c and oracle apps R12, should feel comfortable to understand the plan presented here. 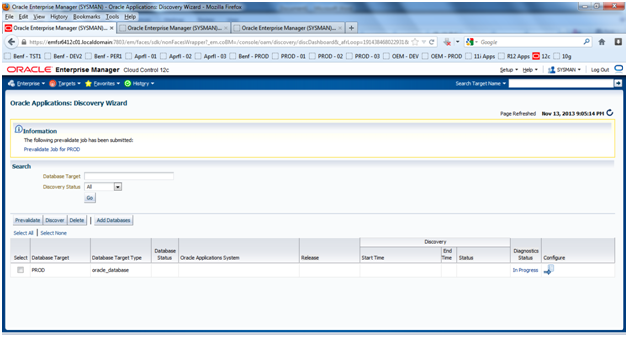 Patch 14825718 - oracle forms bundle patch 10.1.2.3.2 for product Developer Forms. 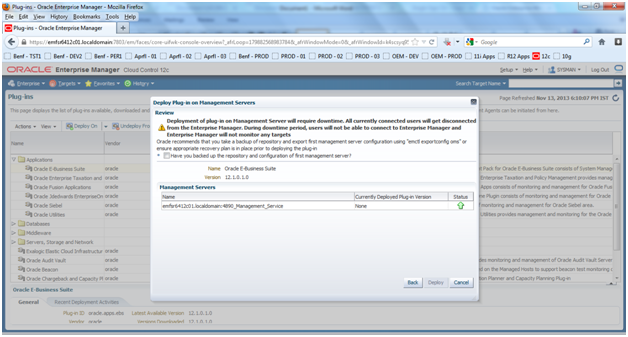 Patch 14660238 just before deploying the management pack on the OMS Server. 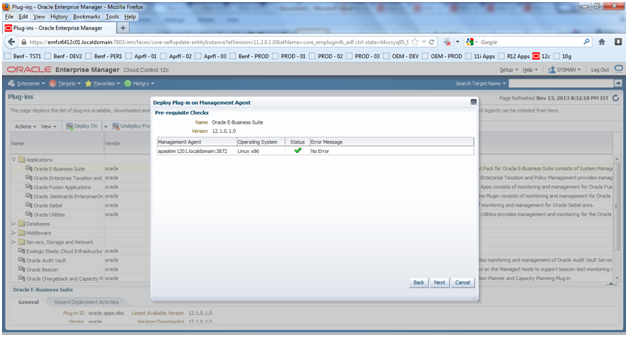 Patch 14238075: release update pack for oracle e-business suite plug-in 12.1.0.1.0. 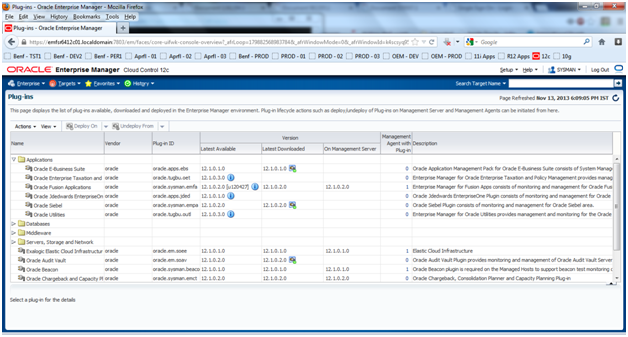 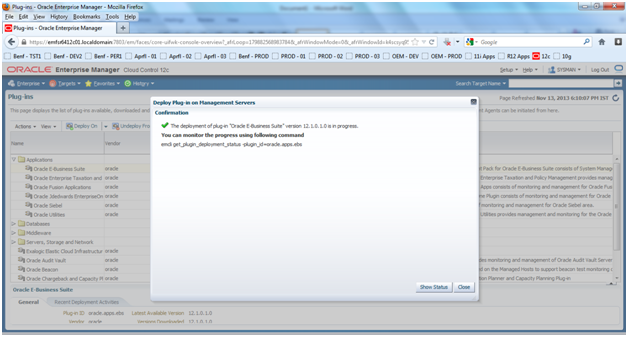 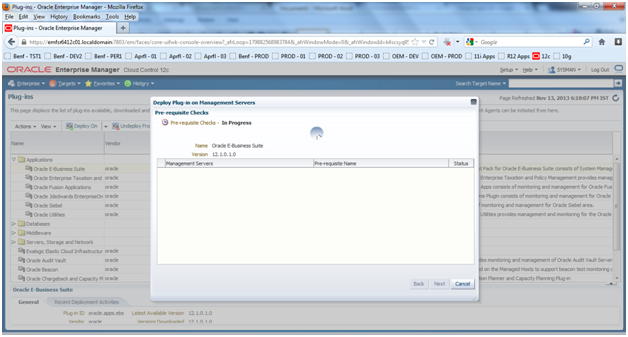 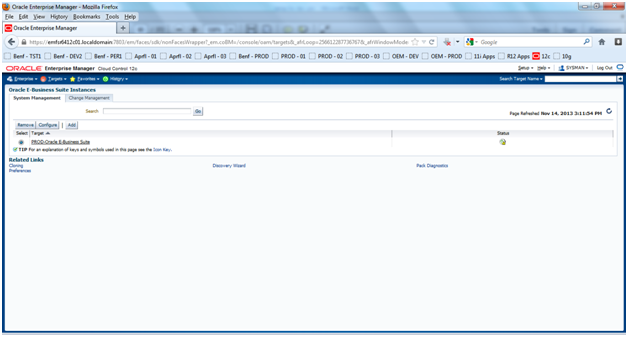 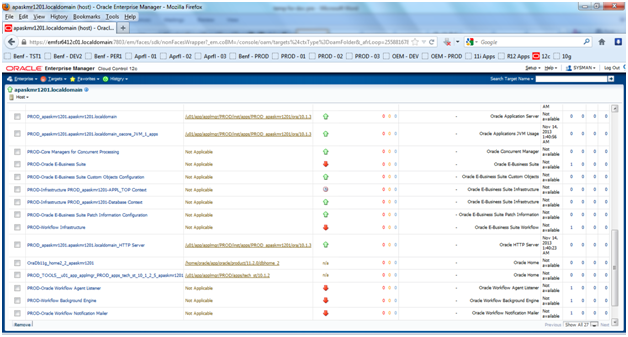 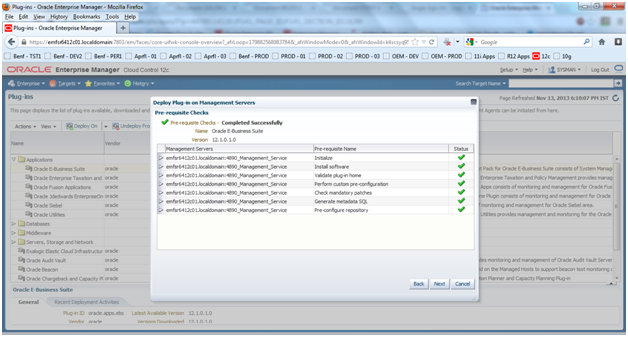 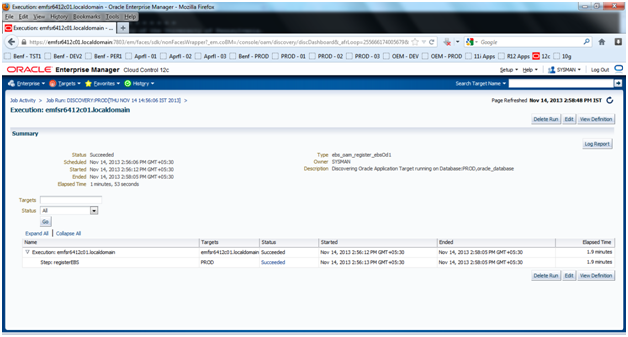 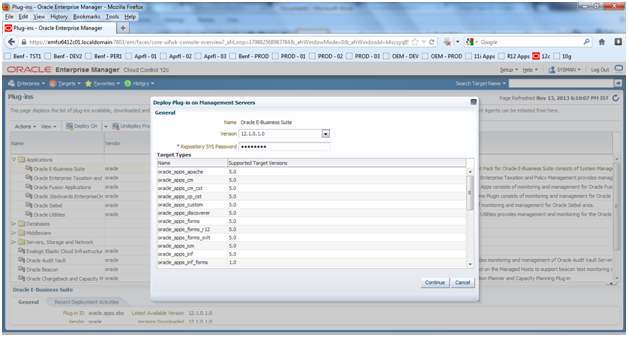 Select Oracle Fusion Middleware in the Plug-ins table. 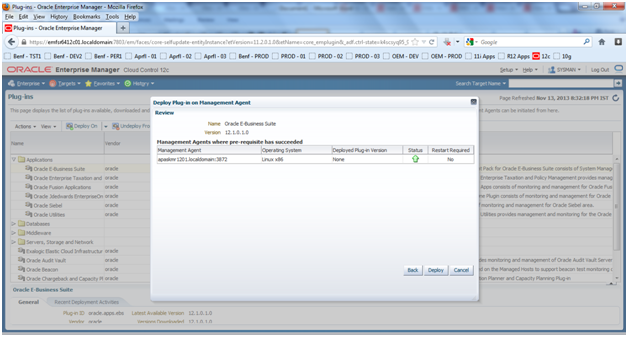 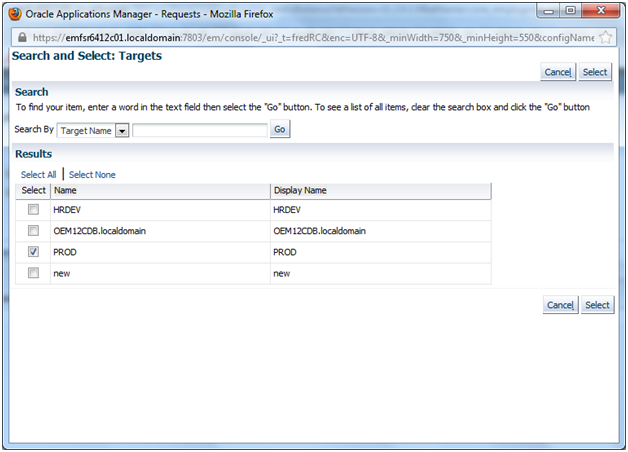 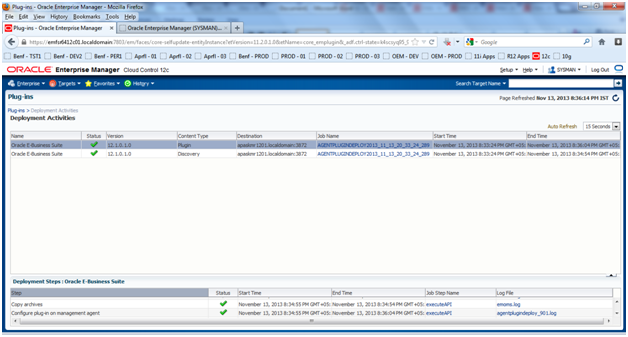 Select Deploy On andthen select Management Agent. 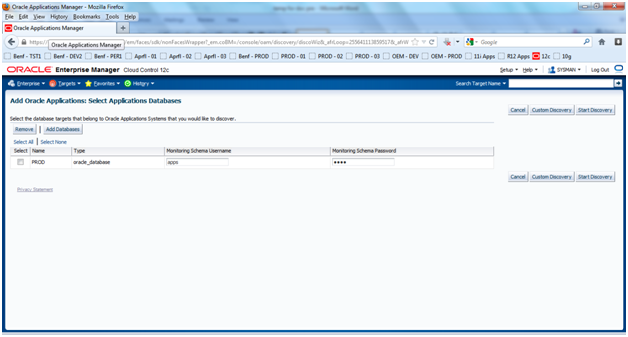 During this time OMS will be down and users will not be able to login. 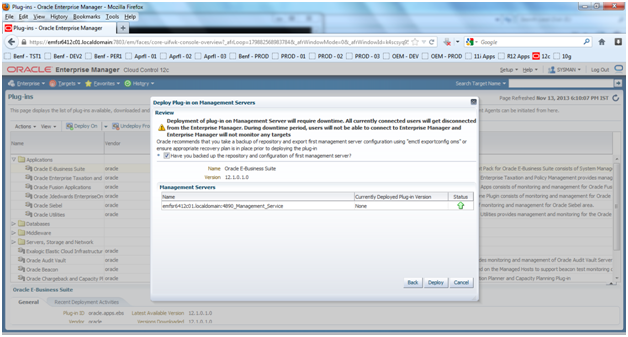 Click Add to add the EBS host and deploy the plugin. 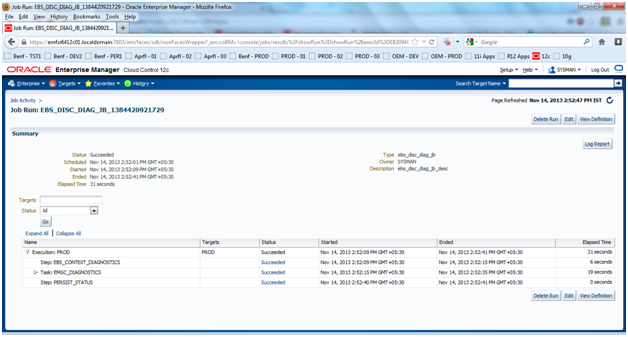 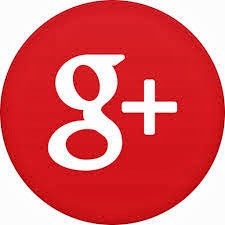 TagetsàOracle E-Business SuiteàDiscovery WizardàAdd Databases and select the R12 DBàPrevalidate. 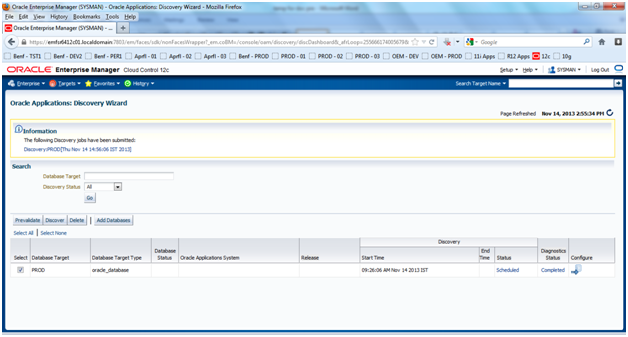 Select the R12 database and click on Prevalidate button and give the apps username and password to prevalidate Discovery. We will get new option from targets menu as Oracle E-Business Suite. 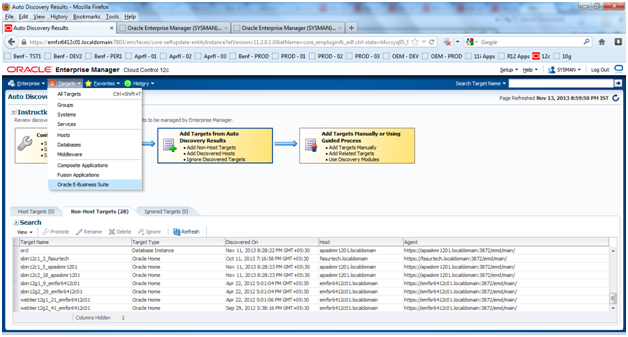 Click on Discover Button to start the normal discover process to discover EBS targets. 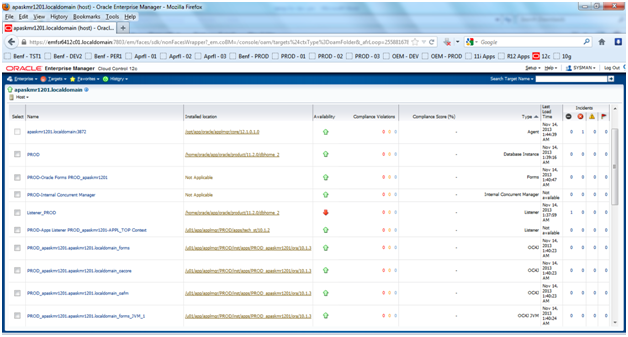 Discovering EBS targets after prevalidation succeeded.